Keeping in line with a number of rumors that surfaced over the weekend, Apple has today announced a relatively important refresh to its MacBook Pro range of computers. 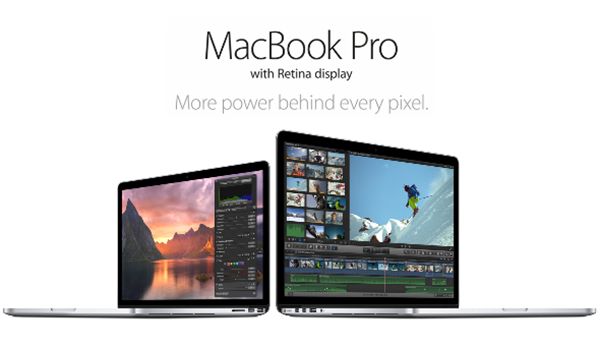 The update to the MacBook Pro with Retina display line of machines had been widely anticipated, and although the amendments don’t come as a great surprise, they do mean that those looking to purchase one of Apple’s portable Mac computers will ultimately benefit from a more powerful experience along with a reduced financial outlay. The upgraded 13-inch and 15-inch Retina MacBook Pro models are now shipping with a faster version of Intel’s Haswell processors, as expected. The entry-level base model machines have benefitted from a 200MHz CPU boost thanks to Intel’s latest i5 and i7 processor sets. 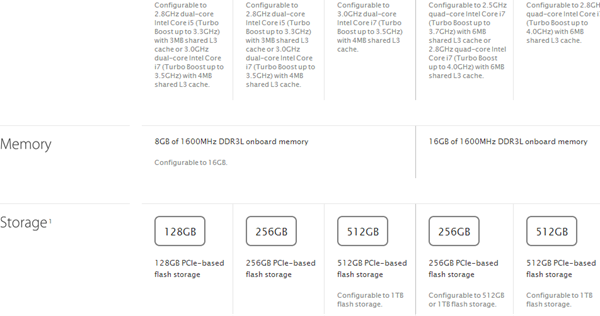 In addition to the upgraded processor, the 13-inch Retina MacBook Pro now ships with an internal 8GB of RAM as standard for base model, whereas the larger 15-inch variant of the more powerful machine ships with an impressive 16GB of RAM onboard. An evolutionary improvement to the internal technical specification of a machine is always going to appeal to the end-user, however, it also helps that Apple have recognized the need to appeal to their bank balance as well. For those that want an all-singing, all-dancing MacBook Pro solution the high-end 15-inch model has been reduced in price by $100. 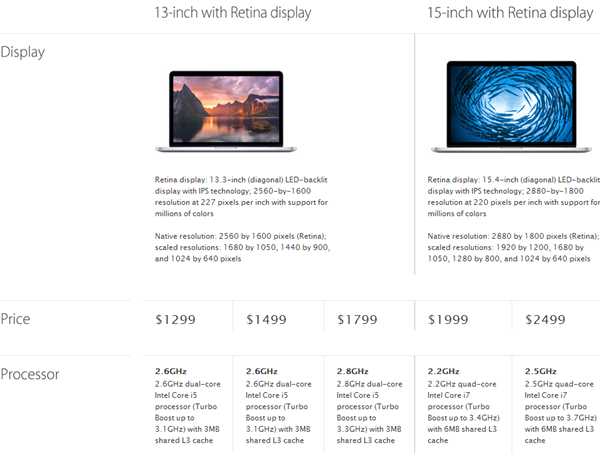 That price-cut means that the hardware will now set you back $2499 for the premium 15-inch Retina MacBook Pro model, complete with a 2.5GHz processor and 16GB of RAM. The 15-inch version with a 2.2GHz Haswell i7 and 16GB of internal RAM will retail for $1999. Potential consumers on a more restricted budget will be able to pick up the improved 13-inch model with a 2.6GHz Haswell i5 processor and 8GB of RAM for $1299. An additional 128GB of internal flash storage on the 2.6GHz 13-inch model will cost an additional $200, or if you prefer to upgrade the processor and internal storage then adding another $500 will get you 512GB of flash storage and a speedy 2.8GHz Haswell i5. Apple’s refresh to the MacBook Pro with Retina lineup has been rolled out immediately meaning that the machines are available to purchase now through the online retail store, physical bricks and mortar stores worldwide.